Damon entered the real estate field initially in 1985 as a part-time buyer's agent, in order to share some of his wife Debbie's workload from her growing real estate business. He dedicated himself full-time to real estate in 1990. Damon certainly found his niche in the real estate world, consistently receiving the highest honors from Coldwell Banker and the Northern Virginia Association of Realtors (NVAR). He is honored to be one of the top Realtors® in the USA by RealTRENDS and most recently Damon Nicholas & The DamonSellsHomes Team were named #1 Realtor® in Virginia for Coldwell Banker Residential Brokerage. Damon’s continued success lies in his and his team's special ability to thoroughly represent buyers and sellers in all price ranges, whether their need is a $300,000 or a $3,000,000 home. Damon enjoys spending time with his family and friends, as well as talking to and getting to know new people. For fun, he plays basketball and bridge. Damon can attest to the quality of life, education, and the multitude of opportunities available in Northern Virginia. As a trusted professional with the experience and skill to handle all real estate needs, Damon’s personal service produces the extraordinary results that make a difference to his clients. Damon grew up in the Fairfax/Annandale area of Northern Virginia and attended Woodson High School. While playing basketball there, he learned both how to be a team player and how to be energetic yet fair with his competitors. These two skills have carried over well to Damon's real estate career and have formed the foundation of his successful business philosophies. Damon graduated from the University of Virginia, where he earned a Bachelor's degree in Economics, and thereafter successfully developed careers in producing and managing computer software projects for private enterprise as well as for the federal government. He has received the highest awards for his outstanding contributions and achievement in these technical areas and still gets a kick out of tinkering around with technology. Barbara has more than 13 years of success with The DamonSellsHomes Team, and has sold over 200 homes since joining the team. As Senior Executive Team Realtor, as well as being an Accredited Staging Professional, Barbara shares with her clients the very best proven ways to prepare a home with low cost updates and manageable design plans to create immediate buyer interest, leading to the highest sales price possible for her clients. She and her husband Jim have three children, each of whom attended Fairfax County Schools, as well as Barbara and her husband. Barbara says, "The list of available activities in Northern Virginia is virtually endless and the possibilities of enjoying a very fruitful life for you and your family are evident. It is a great environment to raise a family. Ask me, I know!" You can always count on Barbara to handle your real estate needs with the utmost professionalism and attention to detail. She is a very hands-on Realtor and her first priorities are your needs. Barbara is a native of Falls Church, Virginia and has always lived in Northern Virginia. She knows the area extremely well and feels comfortable negotiating our area's complicated maze of neighborhoods and byways with great confidence. Barbara has had a distinguished and extensive career in public relations, including the highly visible and extremely confidential position as executive administrative assistant to the chairman of a major corporation. Barbara’s wealth of experience establishing and nurturing relationships and business systems prepared Barbara to excel as a top-notch Realtor®, ready to serve you with excellence. Debbie’s extensive experience as a Virginia Real Estate Broker, with top honors as a Northern Virginia Association of Realtors Top Producer for residential real estate, has prepared Debbie to be a valuable resource to her clients and team Realtors®, too. She has been honored as a MAME award recipient for excellence in New Home Sales Marketing and as a record-breaker for serving incoming and out-going relocation clients. Featured numerous times on local news during the Clifton custom homes explosion, Debbie continues to serve Northern Virginia homeowners with the same professional distinction she established years ago. She creates business systems for team development, personal marketing and most important: reliable and capable client service. Debbie’s got the pedigree and understanding to provide the personalized service you deserve. Debbie and Damon proudly announce they have recently become grandparents. Debbie enjoys spending time with family and friends and is an active community volunteer. After taking time off as a Realtor® to raise her three sons, Debbie is back serving the Northern Virginia Luxury and Residential Market. Her enthusiasm will cause a sometimes stressful experience to be as streamlined and pleasant as possible. Debbie graduated Phi Theta Kappa with a paralegal degree and is registered as both a state and national advocate for special education, with experience in public gifted-and-talented programming as well. She and Damon met while students at The University of Virginia. Prior to her career in real estate, Debbie was recognized with a National Sales Award as #1 Store Manager by The Limited Stores. Josie serves both her clients and the team as Senior Team Realtor®, Accredited Staging Professional and as Team Listing Coordinator. Because potential buyers get their first look at a home online, Josie utilizes her incredible skills to assist with staging, then coordinating professional photography and copy-writing to enhance each listing to its full potential. Josie then creates a brochure unique to each listing, highlighting not only the property but the surrounding neighborhood so that potential buyers unfamiliar with the area have this vital initial information to make their best decision. She has also been a member of the Million Dollar Sales Club. Josie has served the local community as Board President as well as Activities Committee Chairperson for the Sequoia Farms Owners Association Board for many years, and is an active volunteer in her synagogue. Josie and her husband David have two grown daughters who have both graduated from Virginia public universities, living and working in the area. She also enjoys sharing her skills with the newest generation of home buyers and sellers, as many of Josie’s friends and neighbors’ children are entering into the home ownership process for the first time. Josie, who grew up in a military family, calls the East Coast home-base. She graduated from Annandale High School, has a BA in History from Randolph-Macon College in Ashland, VA and an MBA from National University in San Diego, CA. Josie says earning both her degrees, focusing on the classics with well-rounded curriculum, enhanced her over-all knowledge base and helped hone her focus on business strategies with regard to running her own business. Josie’s clients also benefit from her varied experience in the real estate field. Having started as an Office Administrator and Manager, then moving on to Real Estate Research Analyst for appraisers on both coasts, Josie's career in real estate continued as an Administrative Assistant for a relocation department and for a mortgage loan officer, as well. Through this vast experience, she is uniquely qualified to educate her clients, from first time buyers to the more experienced, in the processes of buying a home. Ryan’s top priorities include pursuing the outcome that serve his clients’ best interest. As a millennial himself, Ryan loves helping first-time home-buyers find their first home. With the rapid experience he has gained working on one of the most dominant teams in Northern Virginia, he is also well-equipped to serve any client need. His experience includes short-sales, first time home buyers, young families moving up, boomers moving to urban setting and luxury living. Clients will benefit from the personal training Ryan has received from Rick Hoffman, Coldwell Banker VP for Metro DC, which positions Ryan to provide exceptional luxury client care services in addition to his core residential business. Ryan has earned designations as a Certified Home Buying Advisor AND Certified Home Selling Advisor. He serves as Co-chairman of the Young Professional Network of The Northern Virginia Board of Realtors, and volunteers on other committees at the Board as well, representing the organization both locally and nationally. Ryan looks forward to continued travels and working with people of all backgrounds. He is an active member of the servant team at his church and volunteers at a local hypothermia shelter. Ryan has a heart to serve, and traveled to Greece in 2017 to help serve the needs of Syrian refugees. Contact him if you would like to join or support his trip! Ryan enjoys playing basketball, as well as coaching a middle school team. Ryan continually seeks ways to serve and enhance the local community and to educate his clients on all this area has to offer. Ryan is please to announce his newlywed status - he and Cynthia Reyes wed in November 2017. Now he understands first-hand the joys of forming a new household, renovating a home and balancing real estate responsibilities with the vigor he requires of himself. Ryan was born and raised right here in the community he serves, graduating from the prestigious Thomas Jefferson High School for Science & Technology. Ryan studied Economics and Psychology at the University of Virginia. Prior to joining The DamonSellsHomes Team, Ryan spent nearly 4 years as a District Manager for an international marketing company, honing his sales and negotiating skills, which his clients appreciate. With Steve's background, it should come as no surprise that he is certified as a Military Relocation Professional. Steve credits his former Air Force boss in Nebraska, who retired and became the Realtor® who sold Steve’s first home for him, with the inspiration for his career in real estate. He began selling real estate in 2000 and earned NVAR Multi-Million Dollar Club status multiple times, specializing in the Fairfax County areas of Fairfax, Annandale, Alexandria and Arlington. Steve and his wife, Chris, have four children and four grandchildren. In addition to spending time with family, he enjoys riding his Harley Davidson, and teaches motorcycle riding for Northern Virginia Community College, and volunteers with the Disabled American Veterans Transportation Network. Steve was born and raised right here in Northern Virginia, graduating from Annandale High School. He has a BA from Southern Illinois University, an MSBA from Michigan Technology University, is a U. S. Air Force retiree, and former Federal Employee. Kris assists each team member in processing real estate sales to successful completion. Her attention to detail behind the scenes, scheduling inspections, coordinating settlements, as well as keeping an eye on the flow of each transaction’s unique events, allows team Realtors® to remain fully engaged with each of their clients’ needs. Kris and her husband, Mike, are the proud parents of five grown children and three grandchildren. They share their household, on the fringes of Prince William and Fauquier Counties, with two dogs and two horses. In addition to spending time with family, friends and frequently visited by numerous deer, the occasional fox, and spying wild turkeys with their newly hatched gang of chicks each spring, Kris is an active volunteer with her church. Kris is originally from Southern California, and spent 10 years in Germany, before moving to Northern Virginia in 1997. Prior to joining the DamonSellsHomes Team, Kris spent more than 10 years as the Marketing and Move-In Coordinator for a retirement community. That experience, along with her personal adventures relocating eight times in 10 years as a military spouse, gives her a unique perspective and compassion for the clients we work with. Damon Nicholas is highly respected in his field. His achievements and awards over the years have been numerous with a reputation for being a Realtor who is deeply committed to his clients and customers. I have always admired Damon's integrity and constant drive for perfection - his proven track record certainly speaks for itself. To personally succeed, I felt it crucial to surround myself with a person of his caliber, expertise and professionalism who shared my same philosophies. The DamonSellsHomes Team encompasses all aspects of the home purchasing and selling process. By associating with Damon's team, I can provide the optimal service that is needed to make the changing of homeownership successful. Being associated with such a successful and recognizable real estate team provides an immediate comfort factor to any new client or customer. They can be assured that the service they receive will be performed with the utmost care and consideration to their individual needs. Reputation is so important in this business and critical to ensuring continued success. Being affiliated with the DamonSellsHomes team, as well as a worldwide real estate leader such as Coldwell Banker Residential Brokerage, gives you instant recognition in the marketplace. Two words are the basis of my choice to be affiliated with DamonSellsHomes: Trust and Honesty. When a family makes the largest purchase of a life-time, their new home, the relationship with their Realtor must be based on trust and honesty. I know Damon Nicholas to be a Realtor who conducts his business on the basis of trust and honor. GREEN - Certified to market properties with green features. 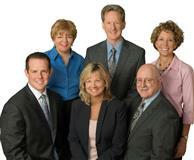 *Each designation is held by at least one Realtor® on our team.